Air India Recruitment Announced 2016 Batch Vacancies Various Jobs Air India Charters Limited (AICL) invites applications from Indian Nationals (Wherever domiciled) for the post of Cabin Crew on a fixed term contract, for a period of five years, for its low cost Airline AIR INDIA EXPRESS, to undertake flying duties on board the aircraft, across the crew base stations in India.More Apply Detail Given Below. 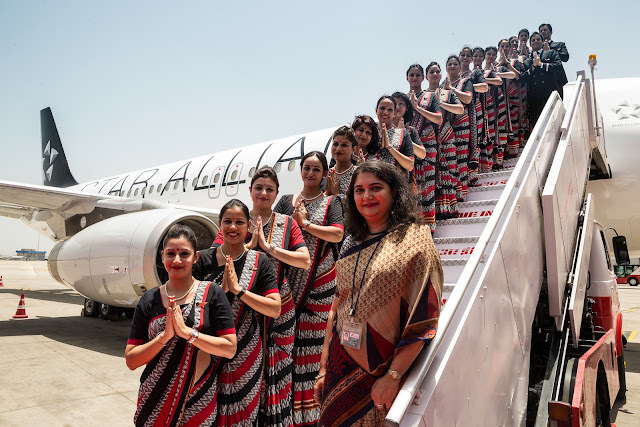 Air-India Limited operates passenger and cargo flights from Bombay to destinations in the United States, Europe, the Middle East, Africa, the United Kingdom, Russia, China, Japan, and other countries. It holds the distinction of being the world’s first all-jet airline. Founded as a small, private, domestic carrier in 1932, Air-India is now government owned. Once regarded as a “little jewel” of an airline, its reputation became somewhat tarnished as service and profits slipped. Significant changes, however, have rejuvenated the airline, put it back in the black, and restored its ranking among the better airlines of the world. Three million passengers a year fly Air-India. Air-India began operating in 1932 as Tata Airlines, named after J. R. D. Tata, its founder. The line carried mail and passengers between the Indian cities of Ahmadabad, Bombay, Bellary, and Madras, and Karachi, Pakistan. Within a few years Tata Airlines’ routes included the Indian cities of Trivandrum, Delhi, Colombo (in Sri Lanka), Lahore, and other locations in between. In 1946, at the conclusion of World War II, the airline became a public company and was renamed Air-India Limited. In just two years, with the government having a 49 percent share in the company, the airline was flying further outside of India, with regular flights to Cairo, Geneva, and London. The line’s name changed again to reflect its new scope of operations, becoming Air-India International Limited. Educational Qualification – 10th (Matric) with +2 Pass from a recognized Board/ University. Height -> Male : 165 cms (5′ 5″), Female: 157.5 cms (5′ 2″). Height Relaxation of 2.5 cms (1″) for SC/ST candidates and those hailing from North-East States & hilly areas. Weight – In proportion to height as per Company’s standard. Vision – Near Vision N/5 in a better eye and N/6 in worst eye. Distant vision 6/6 in one eye and 6/9 in another eye. Spectacles NOT allowed. Contact lenses up to +2D permitted. Color vision should be normal on Ishihara Chart. Cosmetic appearance – Should be well groomed with Clear complexion without any noticeable blemish, no odd scars / birth marks. Even and regular teeth. Speech – Clear speech, no stammering, lisping. Command of the English/ Hindi language should be with clear understandable accent. Pre-employment Medical Examination/ Previous Employment References. Application Fee: A non-refundable Demand Draft for ₹ 500/- favor of AIR INDIA CHARTERS LIMITED, payable at MUMBAI DD should be issued only from a nationalized bank. No fee for SC / ST Candidates.